On Thursday evening Israeli forces stormed Aida refugee camp in the southern occupied West Bank city of Bethlehem. Jeeps descended on the camp from all entrances shooting off tear gas rounds indiscriminately, Akkram Huessni, a young man from the camp told Mondoweiss. Families rushed to close their windows, shoving cloth in any crevice that could allow the noxious gas to seep in, a well practiced drill in homes across the occupied West Bank. 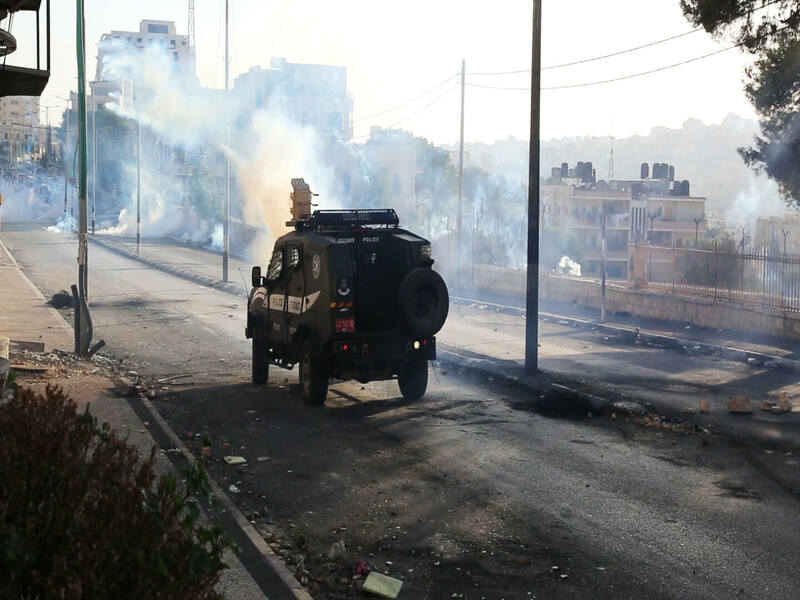 While Aida is known for being politically charged, generally Israeli forces focus on protesters, but on Thursday the forces seemed to be ignoring the protesters and going for the general community instead, firing copious amounts of tear gas, Huessni said. During the middle of the assault, the Israeli army and border police — in a surprise move — issued a message to residents via loudspeaker. One young man caught the entire message on video. “You will all die,” the officer said. The border police officer who issued the message was reportedly suspended from duties, Israeli media reported. While the message caught on video was shocking for a number of reasons, it pointed out at least one important truth, tear gas kills. The next day the threat came to pass as an 8-month-old baby, Ramadan Thawabta, suffocated and died from tear gas inhalation during clashes in Beit Fajjar village, just south of Bethlehem, doctors told Palestinian news agency, Ma’an News. A little more than a week previously, a 54-year-old peace activist with cardiac disease suffocated on the gas and died. Doctors confirmed that it was the tear gas, and not his previous condition that killed him, according Ma’an. 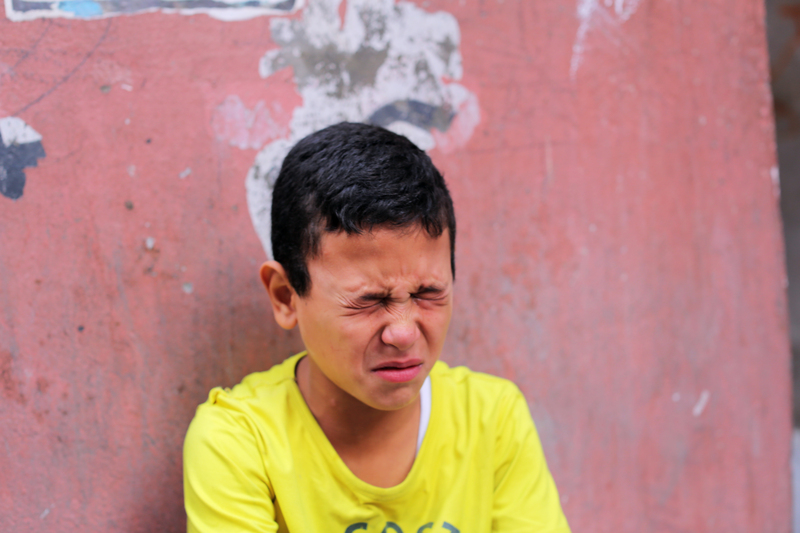 Tear gas is a supposedly non-lethal chemical weapon, heavily used by Israeli forces in the occupied West Bank and other areas of the Palestinian Territory. The gas belongs to a group of chemical agents referred to as “lachrymatory agents,” from the latin word “lacrima,” meaning tear. The name however, is misleading for two reasons. First, tear gas is not a gas at all, but rather a solid chemical made into an aerosol that hangs in the air when released. The gas settles on surfaces, including clothes, and can be reactivated if a surface the tear gas has settled on comes into contact with skin days later. Secondly, tear gas affects much more than just the eyes, as skin and breathing passages are equally sensitive to the chemical. When exposed to tear gas the eyes are the first the become affected, as the gas begins to sting and makes it difficult to see. Touching the eyes or putting water on the affected area only makes it worse. The second effect is on the respiratory system, as the gas makes it feel as if the victim’s chest is constricting and it becomes difficult, if not impossible to breathe. 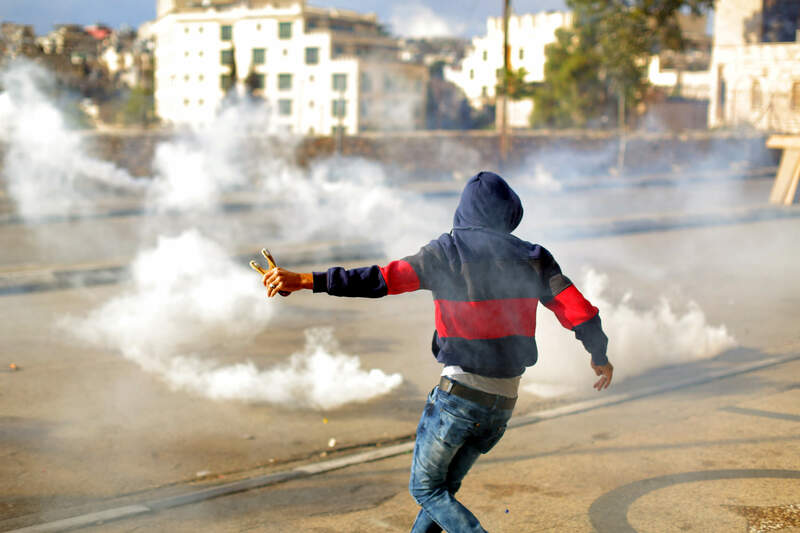 Tear gas also stings and inflames any parts of the skin that is sensitive or damp, like the face, neck and inner arms. Heavy exposure can sometimes lead to burns or blisters, and sweat or water can activate the gas on the skin hours after exposure. If overexposed, particularly for children, the elderly and people with respiratory problems such as asthma, the “non-lethal” gas can be deadly. Tear gas is forbidden to be used during warfare under the Chemical Weapons Convention, which was was adopted by the Conference on Disarmament in Geneva in 1992. According to the United Nations, 98 percent of the global population has signed the agreement, including Israel. It is unknown if the chemicals in modern-day tear gas cause long-term effects, as there have been very few studies done on the matter. Regardless of its supposed illegality and unknown side effects, one would be hard pressed to find a household in the occupied Palestinian Territory that does not know how to combat symptoms of the gas due to its frequent and heavy use by Israeli forces on Palestinians. On any given day in villages, cities and refugee camps across the occupied Palestinian Territories, where clashes have become a daily occurrence, Palestinians are combating the chemical weapon. In Aida refugee camp, three teenagers lie flat on the floor of a stranger’s home. While one young woman holds a fan over the young men, the mother of the household grabs an onion ready and waiting on living room table and begins holding broken pieces of the root to the faces of the suffering young men. Locals use onions, perfume, vinegar and rubbing alcohol to combat the symptoms, though little is known as to why these methods seem to offer relief. When one young man seems to be severely affected, a medic is summoned from the street outside. The medic, a volunteer who has spent nearly every evening since the start of October helping those injured during the daily clashes, quickly comes to the aid of the young man. The medic begins lightly beating on the chest of the teen, asking him repeatedly to try and speak. Another medic enters the room, breaking open an alcohol swab and cleans the teen’s face of the chemical. Eventually the young man comes to and can breathe again. He lies red-faced and exhausted on the ground until the effects completely wear off. A similar scene is repeated daily throughout the occupied Palestinian Territory. According to Ma’an News Agency, the Red Crescent reported that 5,399 Palestinians were treated for excessive tear gas inhalation during the month of October — an average of 174 people a day. 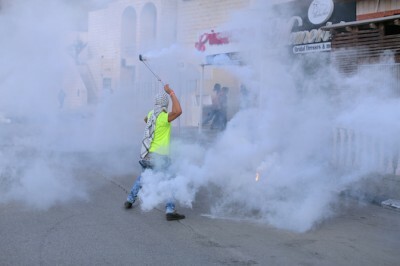 In addition to injuries caused by the gas, the tear gas canisters themselves sometimes hit protesters, injuring them from the force of the metal tube cutting through the air, as well as from the heat of the metal. The canisters alone can break the skin, shatter windows and catch trees and fields on fire — all things that have long-been a daily reality for Palestinians. Sheren Khalel is a freelance multimedia journalist who works out of Israel, Palestine and Jordan. She focuses on human rights, women’s issues and the Palestine/Israel conflict. Khalel formerly worked for Ma’an News Agency in Bethlehem, and is currently based in Ramallah and Jerusalem. You can follow her on Twitter at @Sherenk.